This is how to install Kodi on Fire Tablet. In this tutorial we show you how to use a program called SuperTool with a simple “ADB Debugging” process to get the Google Play Store to install on our Fire tablet. Then we just use the Google Play Store to install Kodi! Enable Apps from Unknown Sources and ADB Debugging on your Fire tablet. Enable ADB Debugging by going to Settings. Now press on Device Options. Then you press the Serial Number 7 times to reveal the “hidden” button for Developer Options. Once the Developer Options button appears, press on it. Now press Enable ADB to turn on ADB. In order to Enable Apps from Unknown Sources, head over to Settings. Then press Security. Now press on Apps from Unknown Sources to enable it. Download the “Amazon Fire 5th Gen Install Play Store” zip file from RootJunkysdl.com. This zip file is the SuperTool that will allow us to install Kodi on Fire tablet quickly & easily. In your PC’s file manager, browse to the folder where you extracted the files. Follow the on-screen prompts in the SuperTool to first install ADB drivers. After the ADB drivers are installed, use the SuperTool main menu to test the ADB drivers. If the ADB Drivers test fine, then continue to the next step. Now plug your Fire Tablet into your PC. When your Fire Tablet displays a notification / question asking to Allow or Deny, press Allow (and, if possible, select the checkbox to remember your choice). 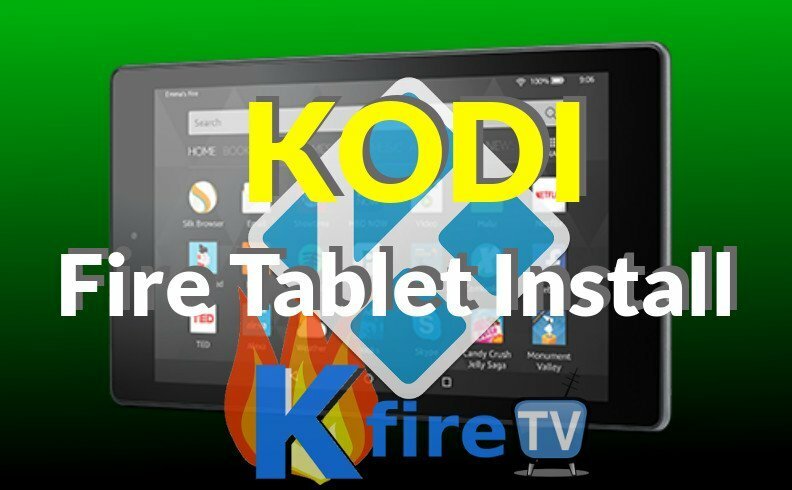 This is essential: you must press ALLOW to allow your PC to install Kodi on Fire tablet. Now use the SuperTool main menu to Install Google Play Store on Fire Tablet. If you closed Super Tool already, just reopen the “auto.bat” file to run SuperTool again. Follow the SuperTool’s on-screen instructions on your PC to finish installing Google Play onto your Fire tablet. After SuperTool is finished, reboot your Fire tablet. When your Fire tablet asks to sign in to your Google account, sign in to a Google account. If the Fire tablet does not ask you to sign in, then just launch the Google Play store from your Fire tablet’s Apps menu. The Google Play Store will require that you sign in to Google to use Google Play. If needed, restart your Fire tablet and update Google Play Services and any other Google apps that need updating. The Fire tablet is just one of many devices on which Kodi can be installed. Fire Stick, Android, PC, Linux, and Fire tablet are just a handful of the streaming devices that let us watch great TV Addons using Kodi. What are your favorite TV Addons? Let us know of the KFire TV YouTube Channel.